THOUSANDS of people plead guilty to crimes every year in the United States because they know that the odds of a jury’s believing their word over a police officer’s are slim to none. As a juror, whom are you likely to believe: the alleged criminal in an orange jumpsuit or two well-groomed police officers in uniforms who just swore to God they’re telling the truth, the whole truth and nothing but? As one of my colleagues recently put it, "Everyone knows you have to be crazy to accuse the police of lying." But are police officers necessarily more trustworthy than alleged criminals? I think not. Not just because the police have a special inclination toward confabulation, but because, disturbingly, they have an incentive to lie. In this era of mass incarceration, the police shouldn’t be trusted any more than any other witness, perhaps less so. That may sound harsh, but numerous law enforcement officials have put the matter more bluntly. Peter Keane, a former San Francisco Police commissioner, wrote an article in The San Francisco Chronicle decrying a police culture that treats lying as the norm: "Police officer perjury in court to justify illegal dope searches is commonplace. One of the dirty little not-so-secret secrets of the criminal justice system is undercover narcotics officers intentionally lying under oath. It is a perversion of the American justice system that strikes directly at the rule of law. Yet it is the routine way of doing business in courtrooms everywhere in America." The New York City Police Department is not exempt from this critique. In 2011, hundreds of drug cases were dismissed after several police officers were accused of mishandling evidence. That year, Justice Gustin L. Reichbach of the State Supreme Court in Brooklyn condemned a widespread culture of lying and corruption in the department’s drug enforcement units. "I thought I was not naïve," he said when announcing a guilty verdict involving a police detective who had planted crack cocaine on a pair of suspects. "But even this court was shocked, not only by the seeming pervasive scope of misconduct but even more distressingly by the seeming casualness by which such conduct is employed." Remarkably, New York City officers have been found to engage in patterns of deceit in cases involving charges as minor as trespass. In September it was reported that the Bronx district attorney’s office was so alarmed by police lying that it decided to stop prosecuting people who were stopped and arrested for trespassing at public housing projects, unless prosecutors first interviewed the arresting officer to ensure the arrest was actually warranted. Jeannette Rucker, the chief of arraignments for the Bronx district attorney, explained in a letter that it had become apparent that the police were arresting people even when there was convincing evidence that they were innocent. To justify the arrests, Ms. Rucker claimed, police officers provided false written statements, and in depositions, the arresting officers gave false testimony. Mr. Keane, in his Chronicle article, offered two major reasons the police lie so much. First, because they can. Police officers "know that in a swearing match between a drug defendant and a police officer, the judge always rules in favor of the officer." At worst, the case will be dismissed, but the officer is free to continue business as usual. Second, criminal defendants are typically poor and uneducated, often belong to a racial minority, and often have a criminal record. "Police know that no one cares about these people," Mr. Keane explained. All true, but there is more to the story than that. Police departments have been rewarded in recent years for the sheer numbers of stops, searches and arrests. In the war on drugs, federal grant programs like the Edward Byrne Memorial Justice Assistance Grant Program have encouraged state and local law enforcement agencies to boost drug arrests in order to compete for millions of dollars in funding. Agencies receive cash rewards for arresting high numbers of people for drug offenses, no matter how minor the offenses or how weak the evidence. Law enforcement has increasingly become a numbers game. And as it has, police officers’ tendency to regard procedural rules as optional and to lie and distort the facts has grown as well. Numerous scandals involving police officers lying or planting drugs — in Tulia, Tex. and Oakland, Calif., for example — have been linked to federally funded drug task forces eager to keep the cash rolling in. THE pressure to boost arrest numbers is not limited to drug law enforcement. Even where no clear financial incentives exist, the "get tough" movement has warped police culture to such a degree that police chiefs and individual officers feel pressured to meet stop-and-frisk or arrest quotas in order to prove their "productivity." For the record, the New York City police commissioner, Raymond W. Kelly, denies that his department has arrest quotas. Such denials are mandatory, given that quotas are illegal under state law. But as the Urban Justice Center’s Police Reform Organizing Project has documented, numerous officers have contradicted Mr. Kelly. In 2010, a New York City police officer named Adil Polanco told a local ABC News reporter that "our primary job is not to help anybody, our primary job is not to assist anybody, our primary job is to get those numbers and come back with them." He continued: "At the end of the night you have to come back with something. You have to write somebody, you have to arrest somebody, even if the crime is not committed, the number’s there. So our choice is to come up with the number." Exposing police lying is difficult largely because it is rare for the police to admit their own lies or to acknowledge the lies of other officers. 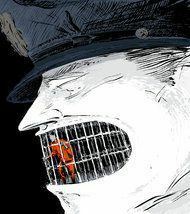 This reluctance derives partly from the code of silence that governs police practice and from the ways in which the system of mass incarceration is structured to reward dishonesty. But it’s also because police officers are human. Research shows that ordinary human beings lie a lot — multiple times a day — even when there’s no clear benefit to lying. Generally, humans lie about relatively minor things like "I lost your phone number; that’s why I didn’t call" or "No, really, you don’t look fat." But humans can also be persuaded to lie about far more important matters, especially if the lie will enhance or protect their reputation or standing in a group. The natural tendency to lie makes quota systems and financial incentives that reward the police for the sheer numbers of people stopped, frisked or arrested especially dangerous. One lie can destroy a life, resulting in the loss of employment, a prison term and relegation to permanent second-class status. The fact that our legal system has become so tolerant of police lying indicates how corrupted our criminal justice system has become by declarations of war, "get tough" mantras, and a seemingly insatiable appetite for locking up and locking out the poorest and darkest among us.